Today is Lundi Gras, traditionally a day of rest during Mardi Gras back when I was a young Louisianian. While that may have changed, the Tulane University band is still hopefully resting between marching in last night’s Bacchus parade and the Rex parade tomorrow. But, one member of that New Orleans university’s campus won’t take a break for the Carnival season. That would be Cypress, one of the world’s fastest computers. Cypress’ creation has its roots in Dell World, our biggest celebration each year. It’s there that Charlie McMahon, vice president for information technology and chief technology officer at Tulane, first saw our Dell Networking Z-Series Core and Aggregation Switches – specifically the Z9500 – that Cypress is built upon. So, that’s just what our networking and high performance computing teams set about to design. 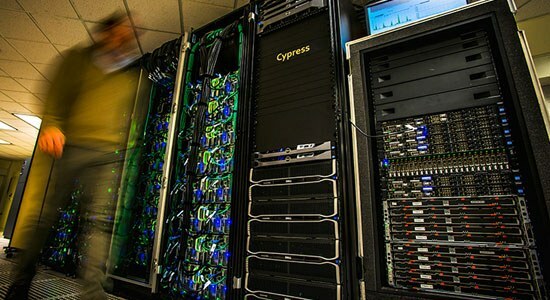 Cypress now puts Tulane in the elite group of universities in the United States that have high-performance computers on the Top500 list. It is being used for sea-level rise calculations, brain injury research studies and other complex, data-heavy projects that need hefty computational power. Tulane has even contracted with the National Football League Players’ Association to use Cypress to conduct long-term tracking of players who have a higher risk of traumatic brain injury, according to Christine Fronczak with Dell’s High Performance Computing team. You can learn more about how Tulane is rebuilding a world-class infrastructure by building a 100-fold faster network and adding 10-fold more storage without adding IT staff in our case study on the project.